People often ask me what I'm reading and what I've enjoyed in the past. Here's a list of 40 or so books that have inspired me in the past or that I've found to be particularly interesting. Greg Enslen is an Ohio author of twenty-seven books, including four books in the “Frank Harper Mysteries” series and three other novels. He also writes original screenplays and guides for popular TV shows such as “Game of Thrones” and “Mr. Robot.” His books are available from major retailers and on Amazon and via Kindle. Greg lives in southern Ohio with his wife, three children, three dogs and an indeterminate number of cats. His interests include travel, reading, film and television, and yelling at various sports franchises. Greg enjoys writing late at night, after everyone else has finally trudged off to bed and the house is quiet. 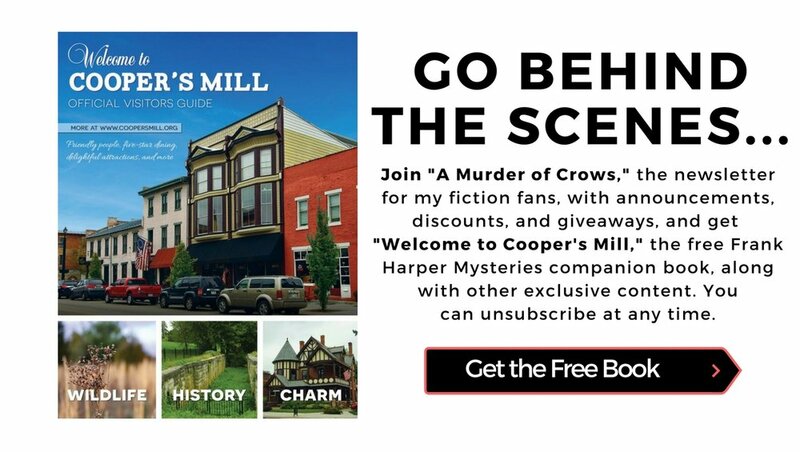 To receive updates, subscribe to the "A Murder of Crows" Newsletter.